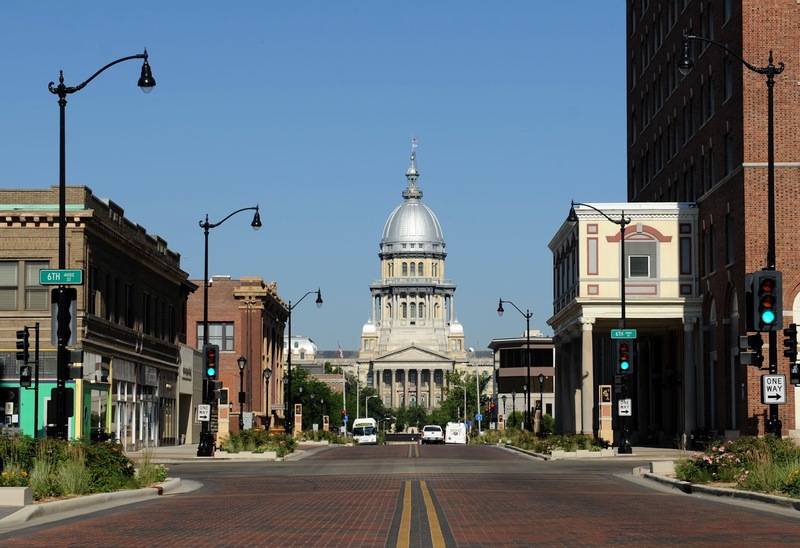 The Spring 2017 Sangamon County Economic Outlook Survey, conducted by the University of Illinois Springfield Survey Research Office and The Greater Springfield Chamber of Commerce, finds that local organizations continue to worry about state government finances. The study examined the economic perceptions, expectations and evaluations of Sangamon County businesses as well as public and non-profit organizations. Sixty-one percent of respondents, the highest percentage ever, cite state government finances as one of the top three concerns facing their organizations over the next twelve months. This figure is higher than the 56 percent of fall 2016 survey respondents who listed state government finances as one of the three biggest challenges facing their organization. The survey also finds that respondents are less optimistic about health care now than they have been in the past. While the fall 2016 survey found that more than two-thirds of respondents (68%) expected to see an increase in the healthcare sector, this figure has dropped to slightly over half of respondents (55%) in the spring 2017 survey. This decline coincides with uncertainty in Washington over the future of health care. In terms of the Sangamon County economy overall, the survey finds respondents more optimistic in terms of capital investment now than the fall 2016 survey (34% compared to 25% expect to see an increase). The survey also finds that strong majorities expect to see increases in interest rates (83%) and inflation (76%) over the next twelve months. While most organizations report that their organizations recruit from outside the local area (61%) than exclusively locally (34%), those who do recruit from outside of central Illinois report challenges in recruiting and retaining those candidates. Nearly nine in ten (89%) that recruit from outside the local area say that attracting candidates from outside of central Illinois is either somewhat or very difficult and nearly as many (84%) say that retaining the candidates they do hire from outside of central Illinois is either somewhat or very difficult. The Sangamon County Economic Outlook Survey has been conducted biannually (March/April and September) since 2008. The full report contains results for questions asked since 2008. In addition, the spring 2017 report contains a topical section with questions pertaining to work readiness and job training. The results for the spring 2017 survey are from 282 local organizations that were contacted in March via email invitations using Qualtrics Research Suite, a platform for online surveys. The margin of sampling error for the study is +/- 5.6 percent. The survey is sponsored by the UIS Chancellor’s Office, the UIS Center for State Policy and Leadership, and the Greater Springfield Chamber of Commerce. For more information on the methodology and to read the full report, visit the UIS Survey Research Office website. Questions about the survey may be directed to Matt Case, interim director of the UIS Survey Research Office, at 217/206-6293 or mwcase2@uis.edu.